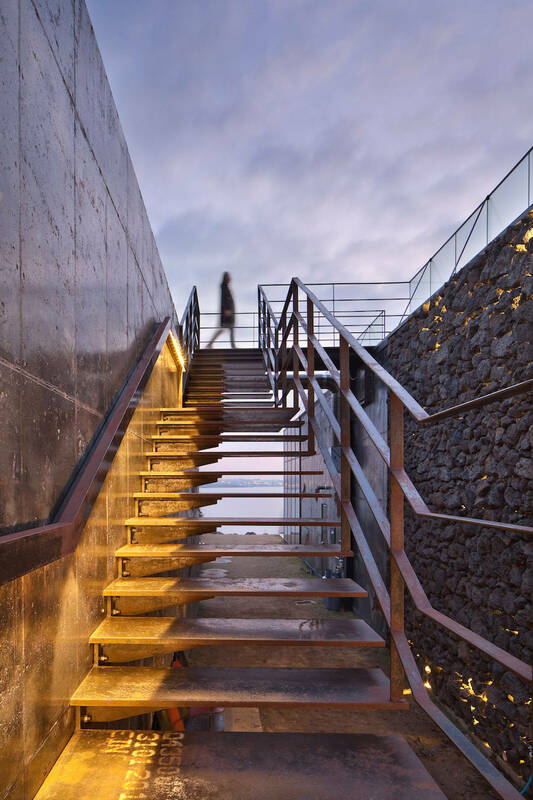 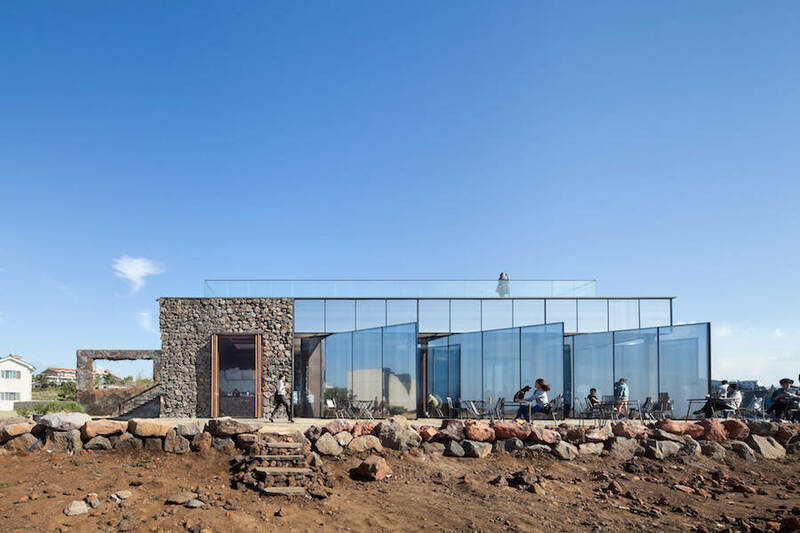 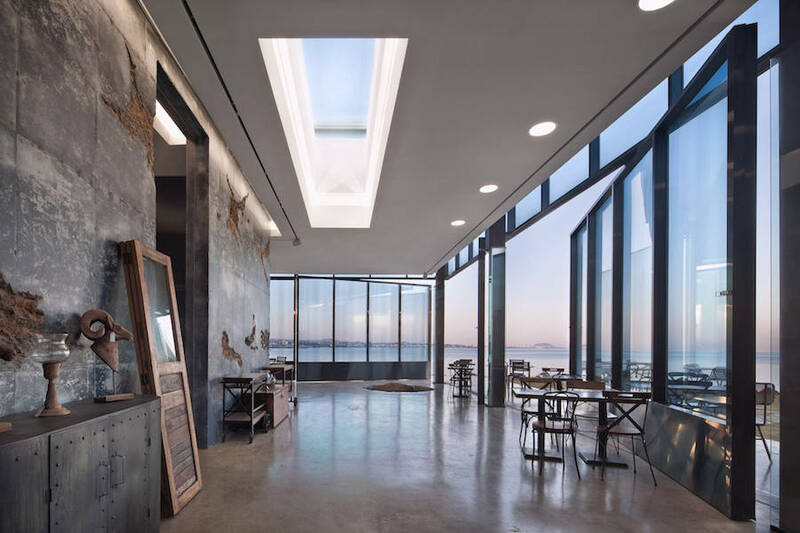 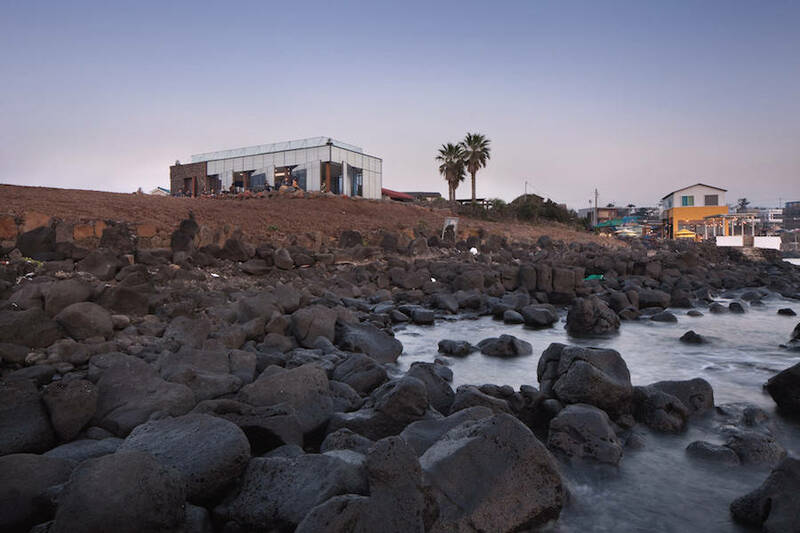 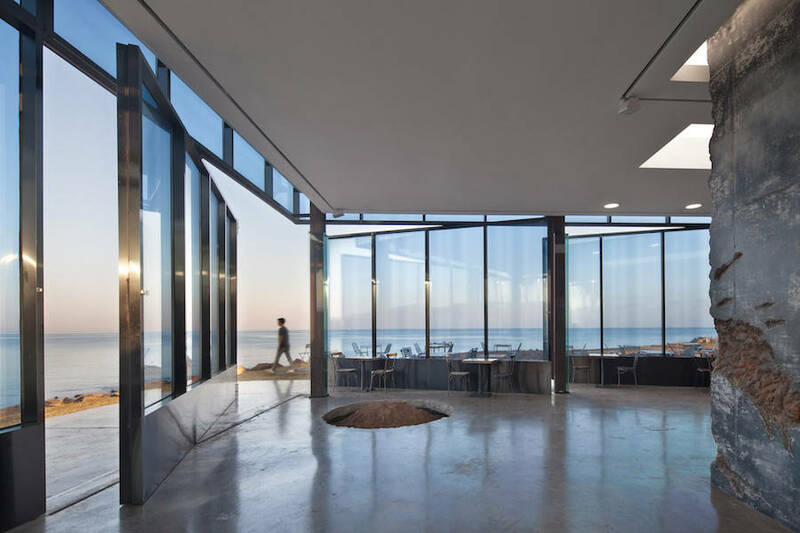 Korean architecture studio platform_a is the author of the very nice café Platform_monsant, located on the volcanic island Jeju in South Korea. 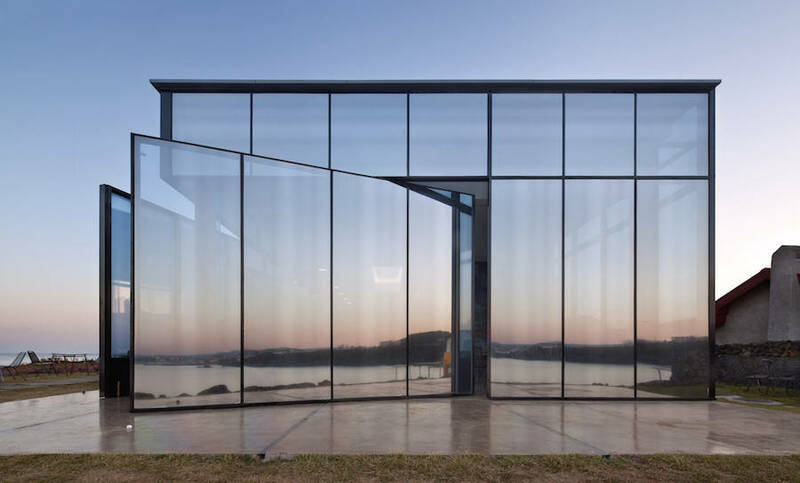 This building shaped like a box hits by its translucent and reflective aspect that allows him to be confused in the landscape. 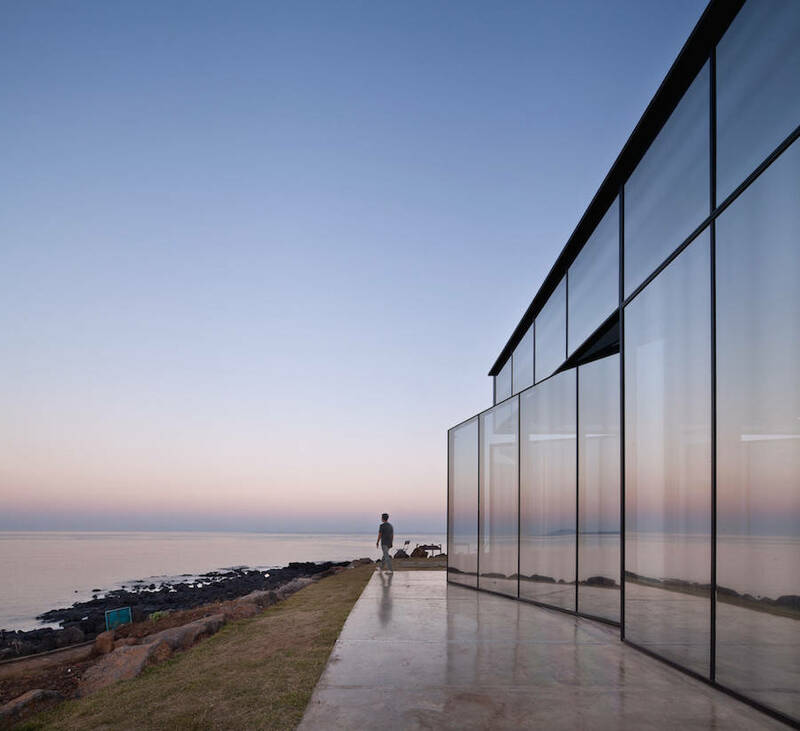 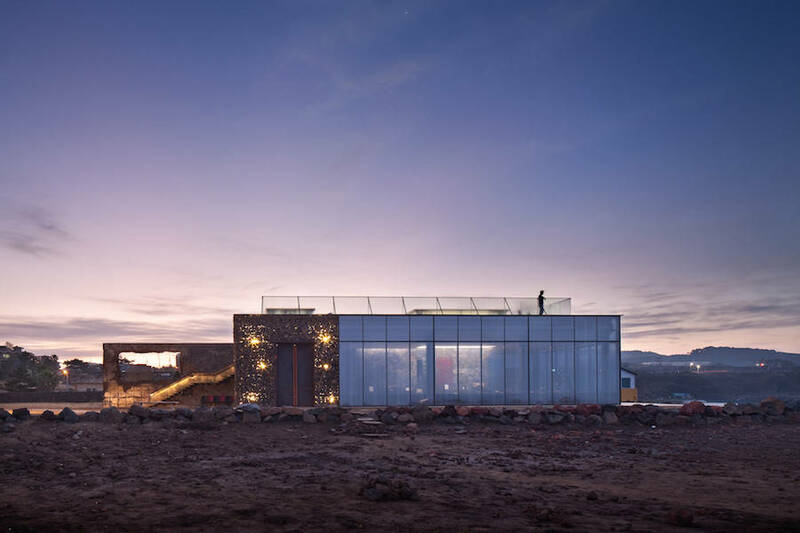 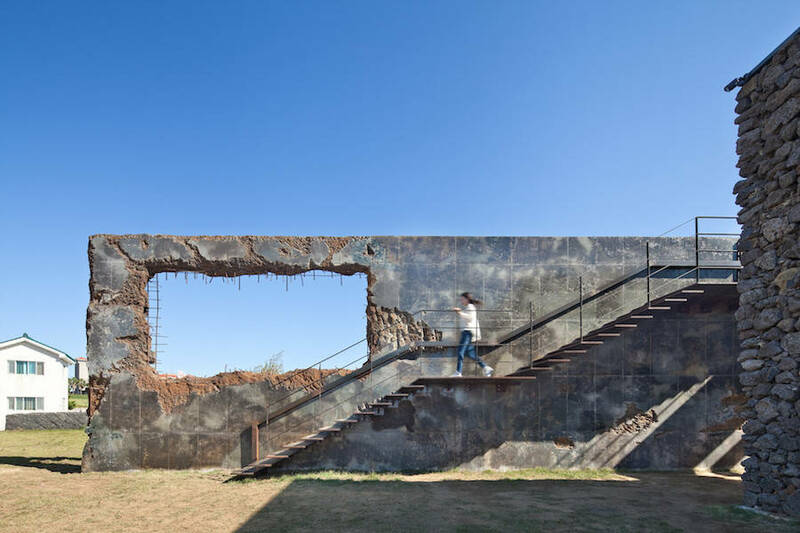 Its facade features mirrors reflecting the brutal landscape of this region. 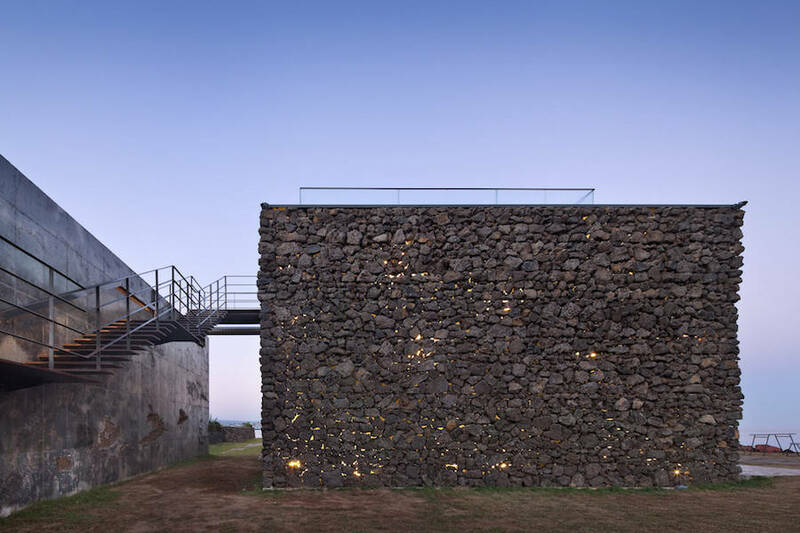 Their goal wasn’t highlighting architecture by nature but the contrary : highlighting the nature by architecture. 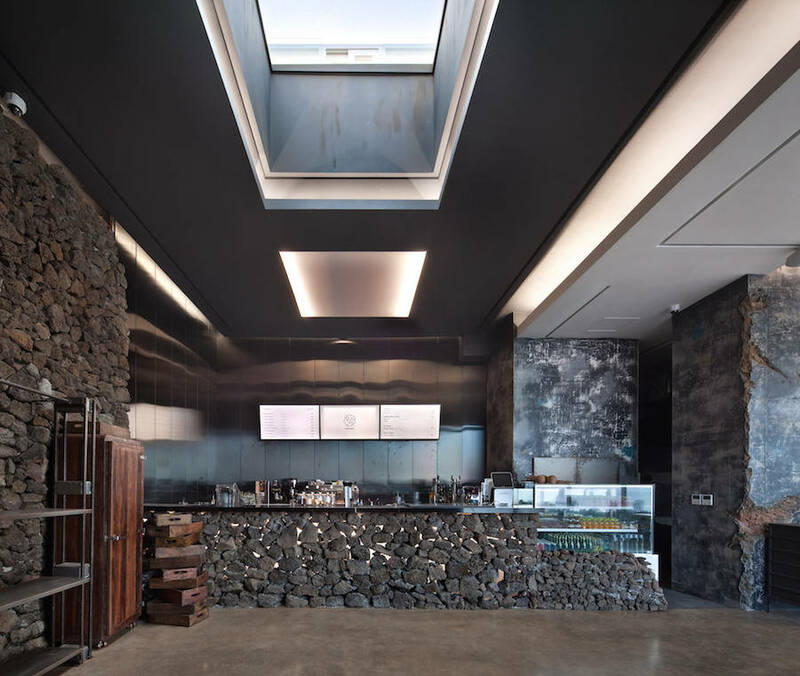 Inside as outside, we find a design recalling this stones’ nature.